Unisex full-length pants (for boys and girls). One colour. Elasticated waistband with draw strings. Normal fit. Wear them all year round. Just like the Clayton jacket, the Erreà tracksuit pants are suitable for sports teams. They are lightweight, resistant and breathable: they are perfect to use in your free time and as part of your team uniform. They are comfortable to wear, and have an outstanding and adjustable fit, thanks to the elasticated waistband and its draw strings. Because the fabric they are made of is not too heavy, they may be worn in any season. 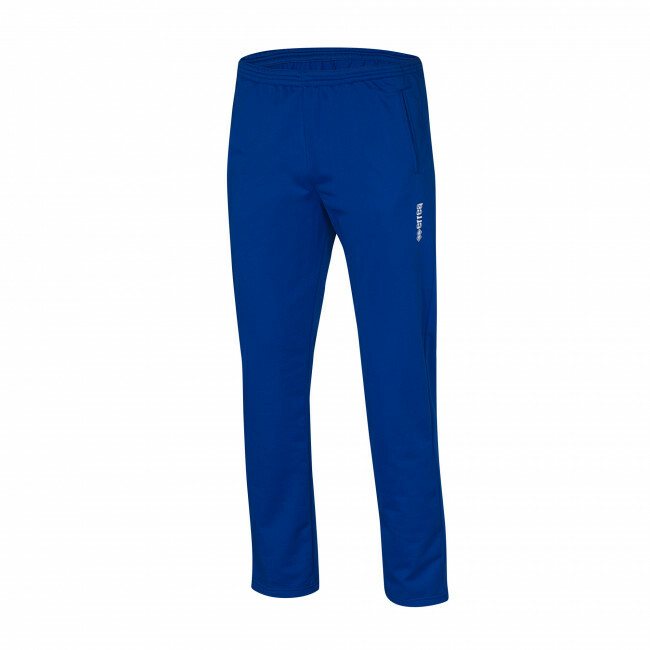 Featuring a perfect mix of comfort and style, these elegant tracksuit pants protect your legs from the chill wind. This unisex model is perfect for both boys and girls.